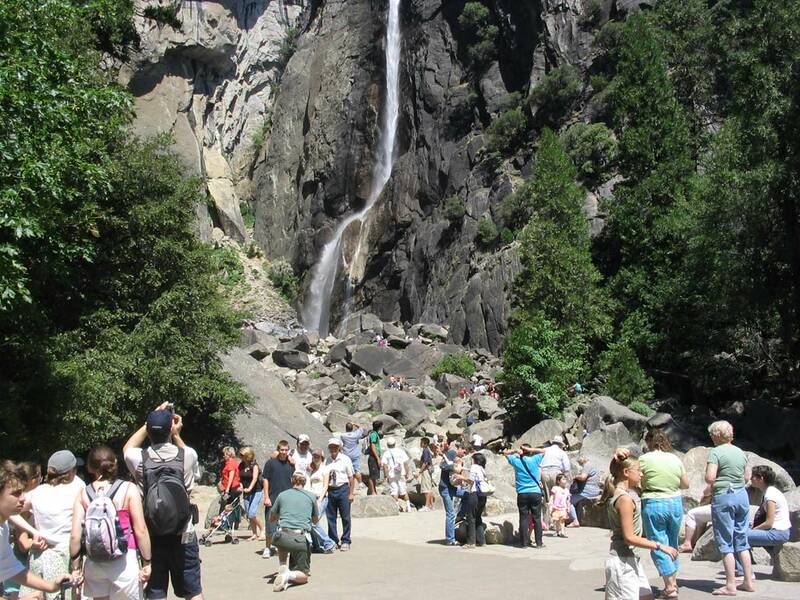 In 2002 Halprin was commissioned by the National Park Service to redesign the deteriorating pedestrian approach to the falls. 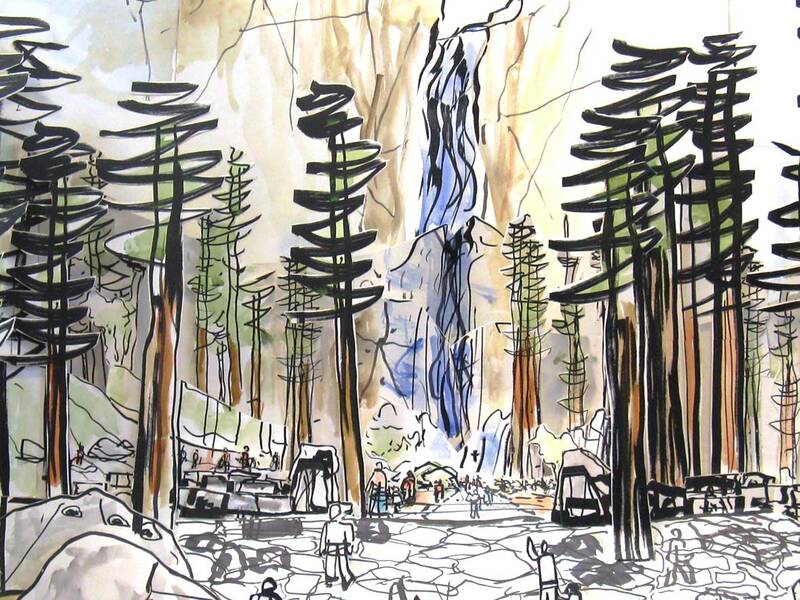 Over the course of three years, Halprin and his team worked on this career capstone project to improve visitor circulation and rehabilitate surrounding habitats. 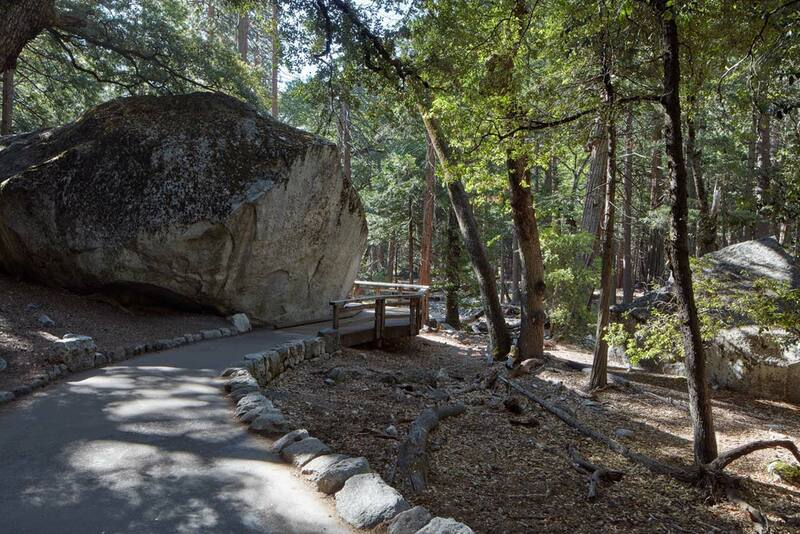 The design features granite, asphalt, and wood paths, with rustic style amenities that blended with the natural surroundings. 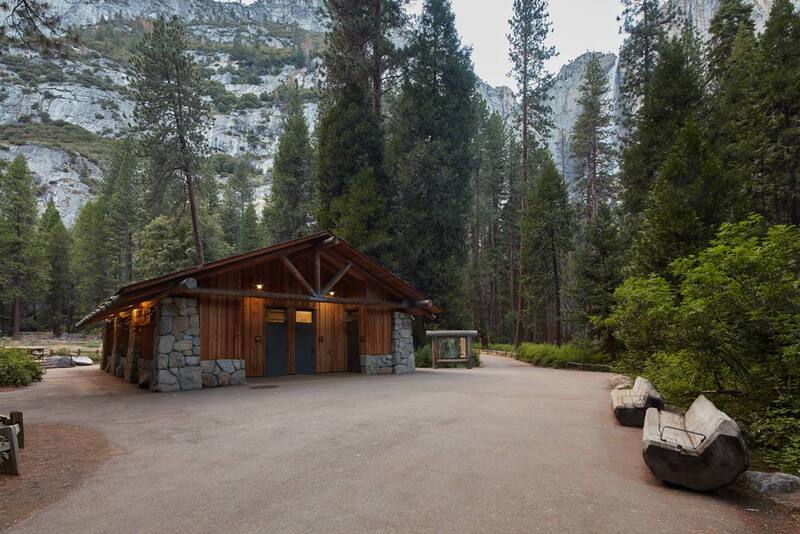 A parking area was replaced with a small amphitheater, picnic tables, water fountains, and restrooms. 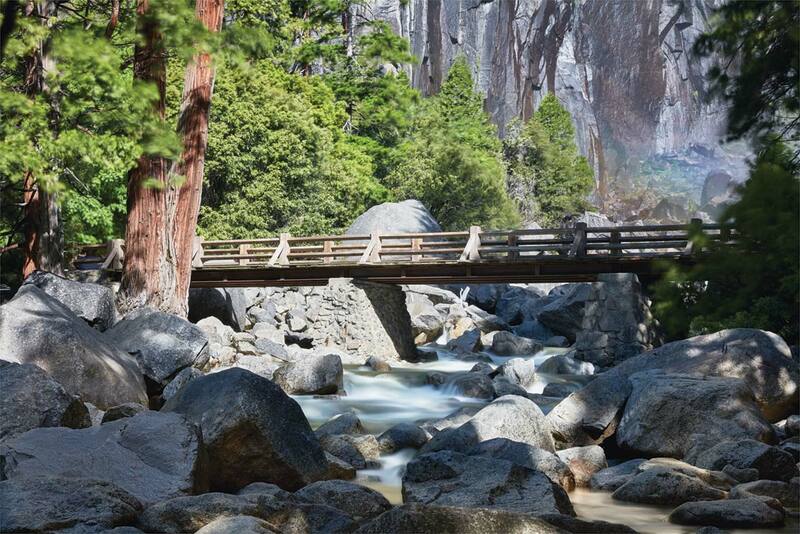 At a terrace where the Lower Yosemite Fall comes into view, Halprin enlarged the platform and installed granite pavers with embedded boulders around the rim. Erosion issues near the terrace were remedied with additional boulders, while other sensitive areas downstream were shored up with native plants. 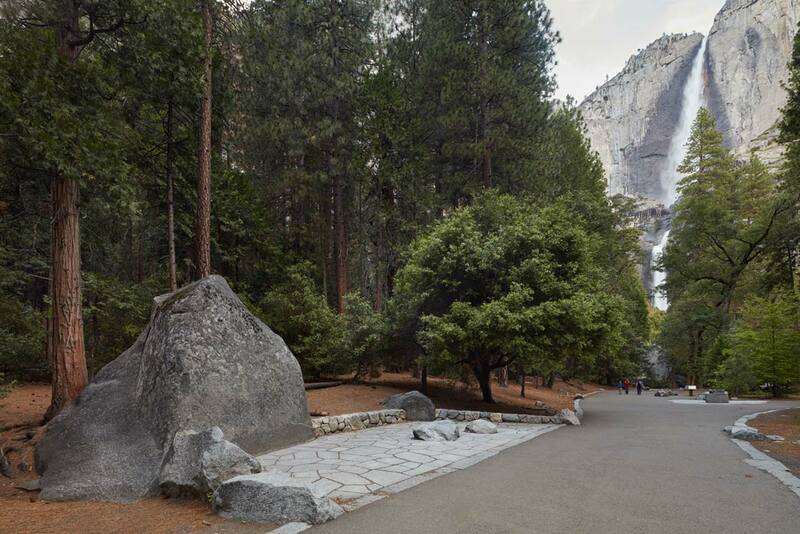 Several dozen trees were selectively removed to enhance the view along the processional approach, and a bronze relief map depicting geologic details was placed along the main path. 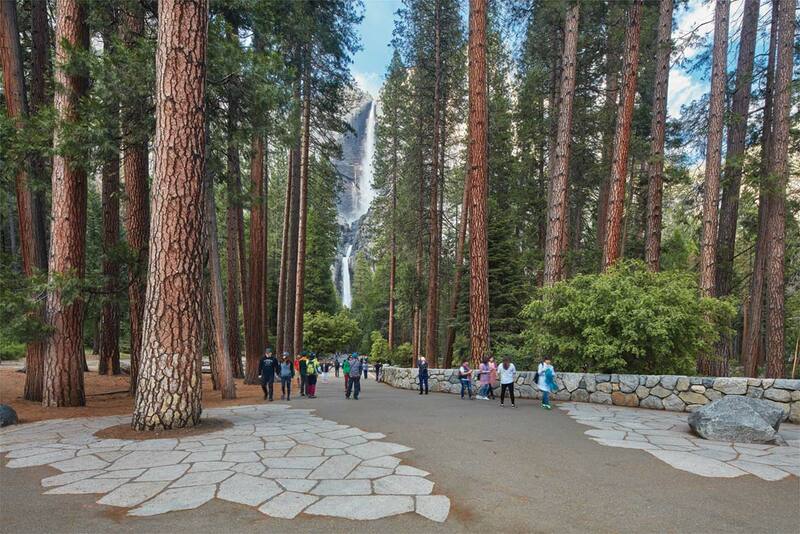 The approach to Yosemite Falls has been well maintained by the National Park Service since it was completed by Halprin in 2005. Maintenance and alterations comply with a Design Guidelines document, State and National Park regulations for the treatment of cultural resources, and a Maintenance Plan. 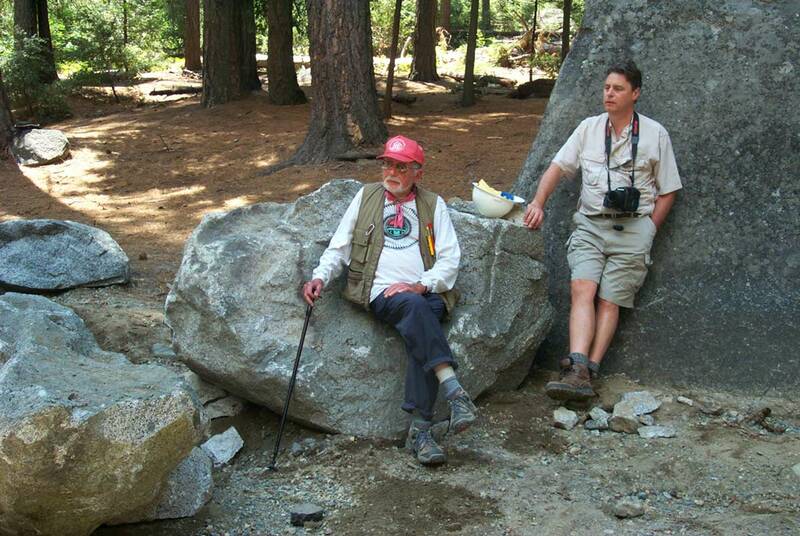 Halprin is discussed on Tours of the approach guided by the National Park Service. He is also briefly mentioned in several online resources. 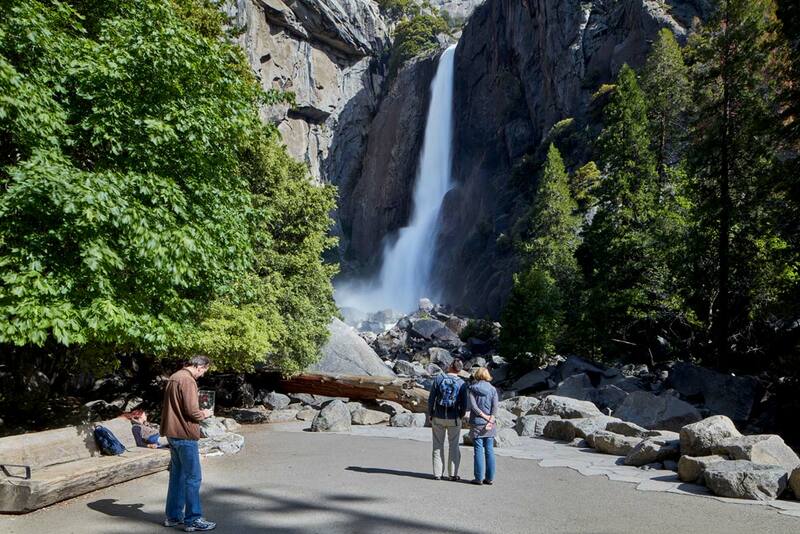 However, Yosemite Valley, inclusive of the falls, was listed in the National Register of Historic Places in 2006, and Halprin’s contribution is not mentioned in the Nomination Form. His work at the falls mitigated environmental degradation within a historic setting, while also imparting his signature style. 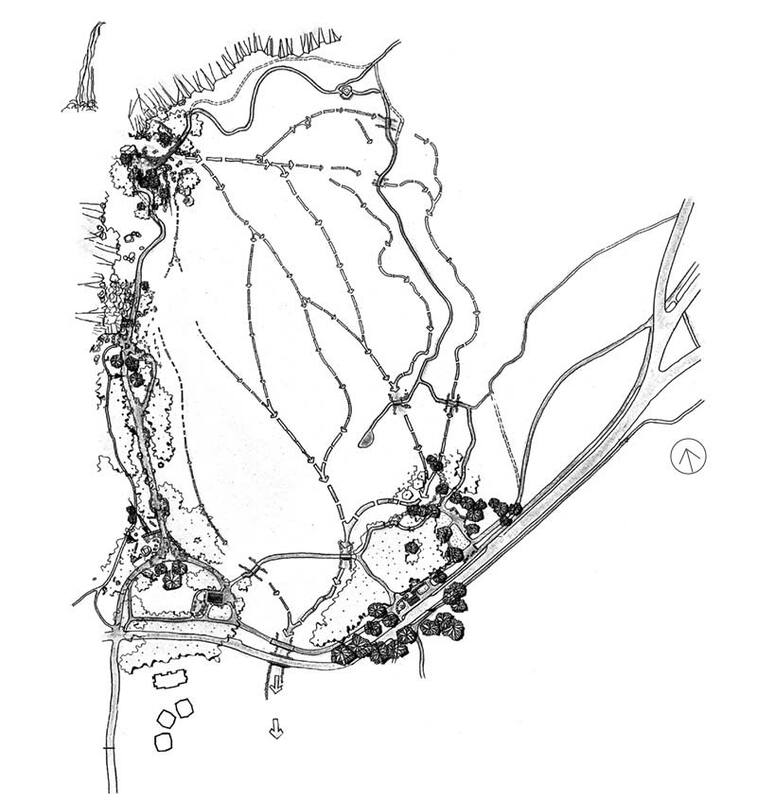 Halprin’s contribution to the visitors’ experience is significant and should be recognized in the formal listing of the resource. Bond graduated from the United States Naval Academy with a degree in Computer Science. He was a naval officer for five years and then a floor trader for nine years. Bond left his career in the financial industry to pursue photography. For nine years he managed the imaging department of a San Francisco design and imaging company, where he worked with all manner of capture, scanning, and printing technology. Currently, Bond works as a commercial photographer.